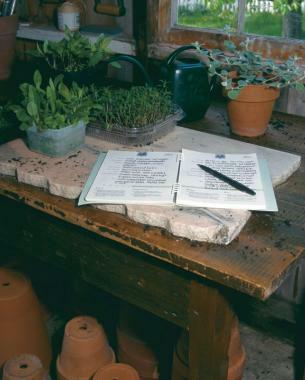 The potting shed is the heart of the garden. It's where the day begins and ends, where plants get their start, and where harvests are gathered. 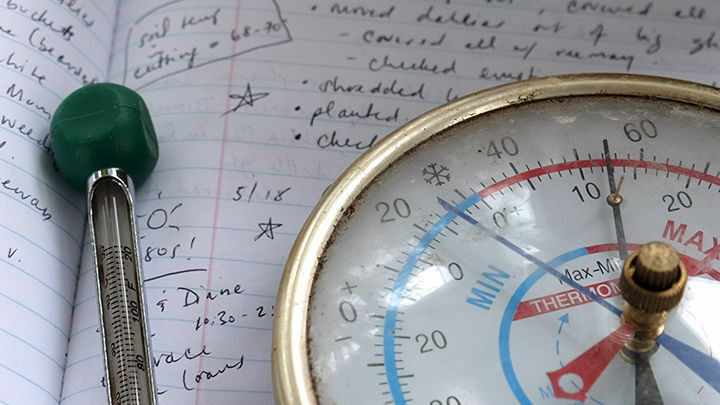 My own potting shed is where I anticipate the coming of spring by sowing seeds, where I seek shelter from summer heat or sudden rainstorms, and where I make notes of the week's gardening activities in a much treasured, mud-stained journal. Yet, my interest in potting sheds isn't limited to my own backyard. 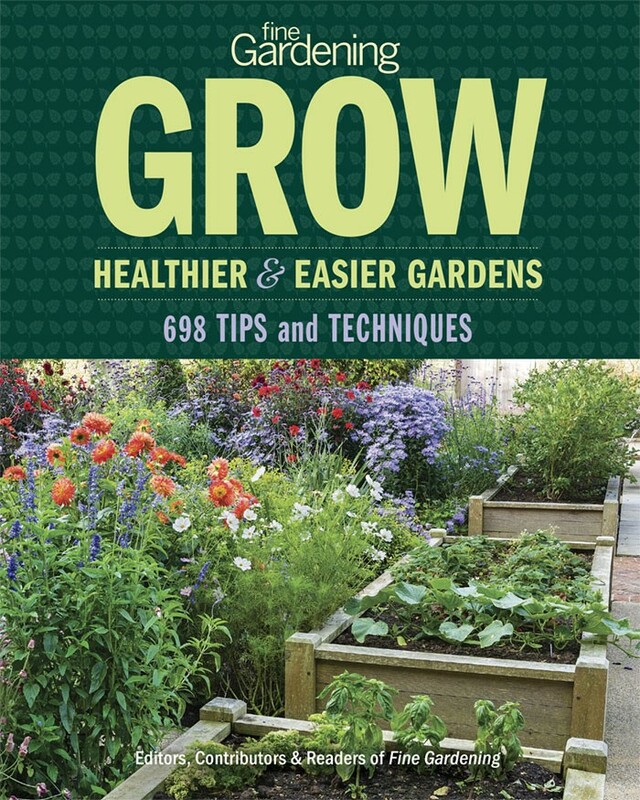 I love exploring this gardener's sanctum wherever I go, gleaning new gardening tips or discovering ingenious new tools. You might even call me a potting-shed sleuth. I've found that while each potting shed is unique, all well-equipped potting sheds also have a few things in common. 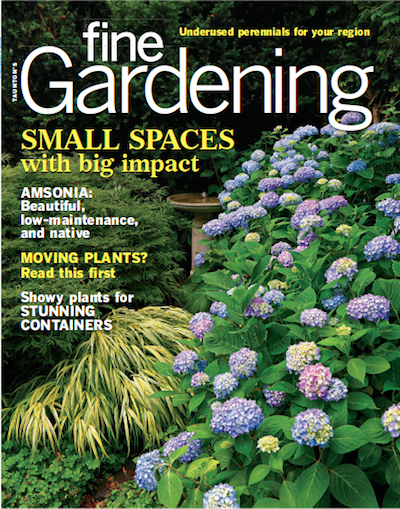 In their truest form, potting sheds are small outbuildings dedicated solely to gardening activities. Yet, you don't really need a separate structure to pot and propagate. You just need a little shelter. One of my favorite places to visit in any season is Sydney Eddison's Connecticut garden. Sydney's garden chores center around her lath house — a partially sheltered structure roofed with widely spaced wooden slats. 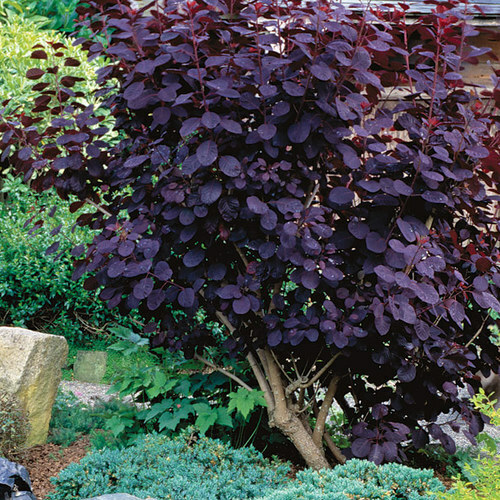 It's just steps away from her sweeping perennial border, and not much farther from the tropical-plant-covered terrace where she slows down just long enough to enjoy an afternoon cup of tea. In addition to being a convenient place for tools, the lath house is a staging area where seedlings are hardened off and divided plants await new homes. 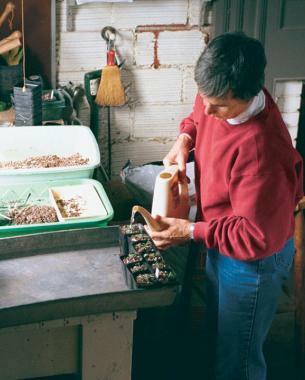 In North Carolina, Nancy Goodwin pots up cyclamen seedlings in an old, stone kitchen. 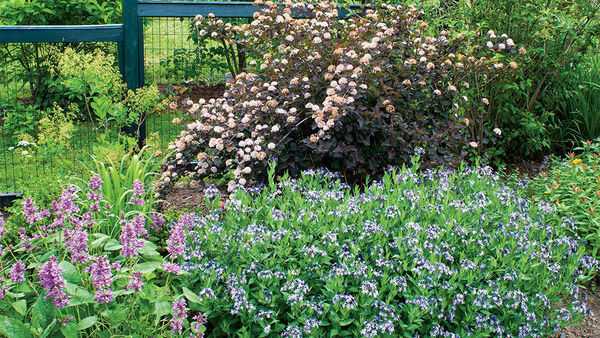 It was constructed in the 1800s and features a cellar that Nancy has converted to a propagating pit, and where seeds for this winter-flowering ground cover stay cool even in hot, southern summers. Kevin Doyle, an avid plant collector who has a wonderfully eclectic garden just outside of Boston, placed his potting bench in the basement where it's warm. Here, seedlings get their start under grow lights, then are moved into an adjacent greenhouse, which offers temporary housing to young plants before they take up permanent residency in a sunny perennial border. 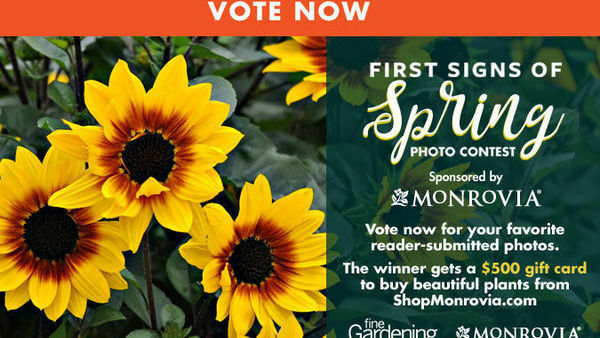 And Louisiana's heirloom daffodil diva Celia Jones — who, in addition to looking like Bette Midler, loves theater and music almost as much as gardening — prefers working outdoors under a shady eave. Here, she doesn't have to worry about making a mess when dividing hundreds of mud-caked bulbs. 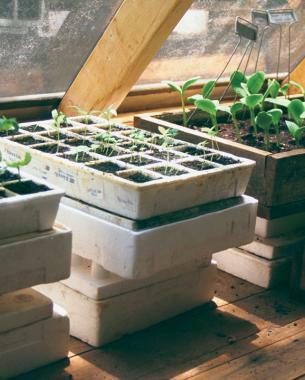 Flats of seedlings fill a sunny window sill in a small potting shed. My own potting shed is a simple outbuilding constructed in the 1930s by a previous homeowner who happened to be an avid gardener. 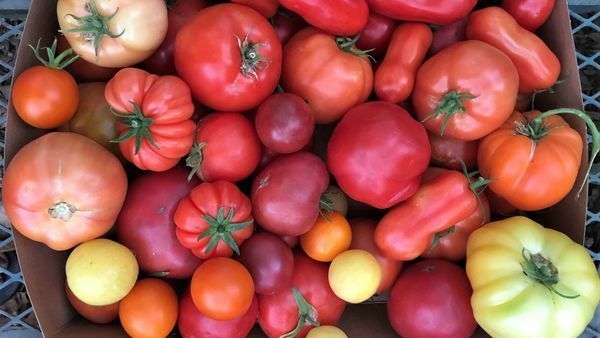 Neighbors fondly recall his vegetable gardens and the tomatoes he so generously shared. He even had the foresight to include a built-in cold frame, so I can get an early start on salad greens and harden off tender seedlings. Your shed may be an old barn with beam ceilings, or a newer, prefabricated shed — assembled in an afternoon, or lowered into place from a large truck by a crane. Or you may put your potting bench in a greenhouse doused with sunlight and filled with warm, scented air. It really doesn't matter. All you need is a bit of functional space where you can comfortably work and wile away the hours. Windows are a welcome addition to any enclosed potting shed, especially if they overlook the garden. In the early morning, bright rays of sunshine flood through their dusty panes, warming the crisp air. And on hot, humid afternoons, open windows invite a cool, refreshing breeze. 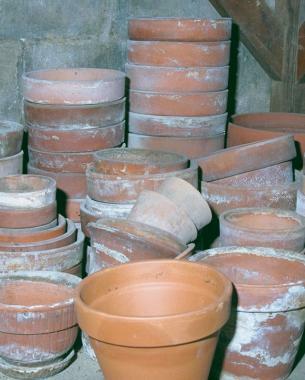 No potting shed is complete without a stack of pots. And since storage space is always at a premium, pots often find a home on the floor. Good lighting is a must for any potting shed. 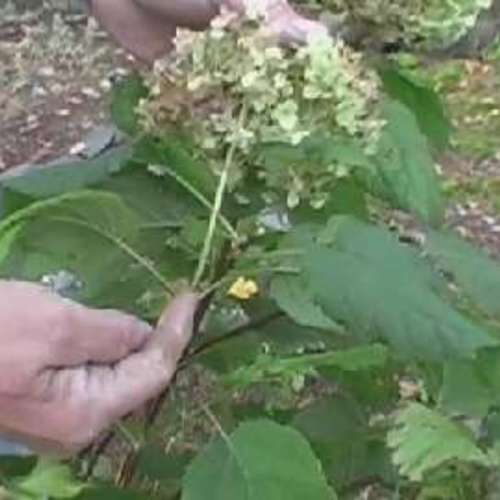 Seeds and seedlings can be tiny, and you need to be able to see what you're doing. An inexpensive fluorescent light hung over your worktable is especially nice on dark, rainy days or when your work extends beyond daylight hours–both ideal times to spend in your potting shed. If you're really going to use this as a potting shed and not just as a storage room, you must have a potting bench. An old table will do in a pinch, but the ideal bench should be built at a comfortable standing height. 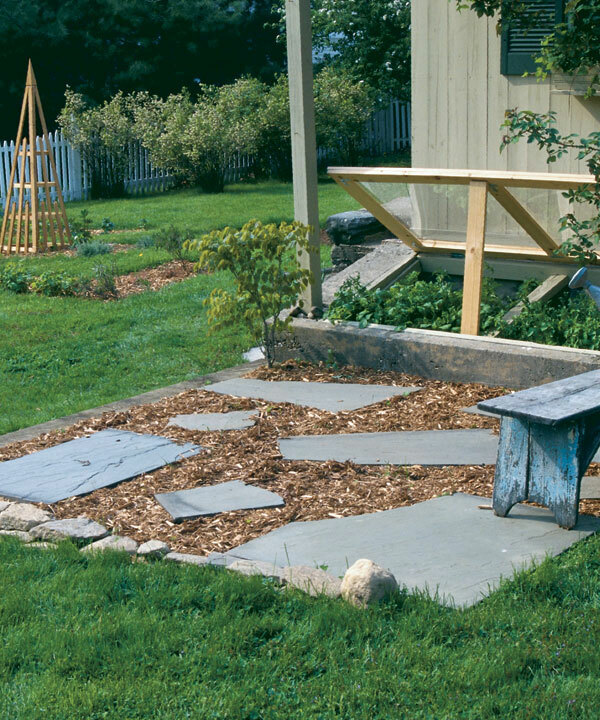 Most of the potting benches you can buy are about 34 inches high and 2 feet deep, but you can easily build your own from scrap lumber, adapting it to your needs. If standing for long periods bothers your back, simply adjust the height to accommodate a chair or stool. 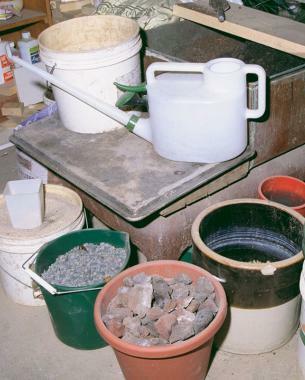 Tools are kept at arm's length in pots on a potting bench and hanging on the wall. 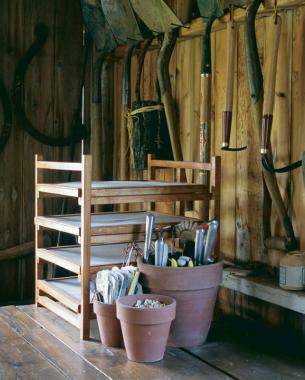 Storage space is always at a premium in potting sheds. 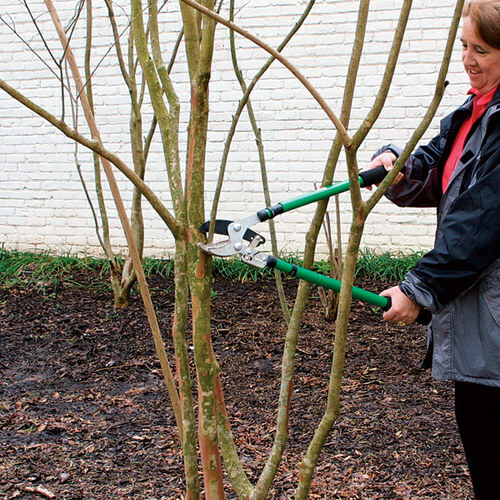 Nooks and crannies are filled with gardening gadgets. Pots are stacked so high they sway from side to side. Narrow shelves house gardening books, while baskets are crammed with catalogs, and drawers are swollen with seed packets. Broad shelves are stuffed with fertilizers, birdseed, kneeling pads, sprayers, spare buckets, and dozens of other useful items. 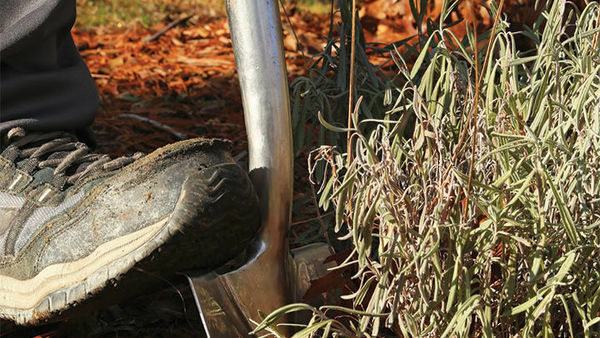 Large hand tools — shovels, rakes, hoes, and the like — are best hung on or propped against a wall. For years, I simply piled mine in a corner, where they got so tangled I could never find the tool I needed for any job. Now, they hang on hooks and nails where I can quickly grab any tool at a glance. 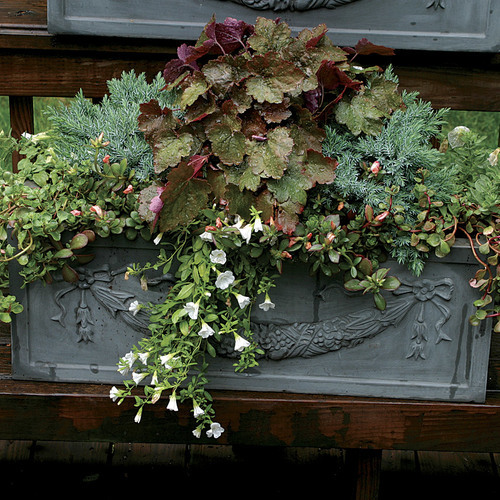 Buckets are filled with potting soil, amendments, and bottom-of-the-pot fillers, then kept close to the potting bench. My potting shed doubles as a storage shed, so I keep my wheelbarrows, mower, and chipper-shredder near the back door, where they can be quickly rolled out for service. Of course, even if you keep your big tools and equipment in another spot, you'll still need space for a few hand tools. Snips, trowels, and pruners fit perfectly in a crusty clay pot on your potting bench. Perlite, vermiculite, sand, and potting soil should be stored within arm's reach, like flour and sugar on a kitchen counter. I've simply dumped them into an odd assortment of buckets and baskets that congregate at the foot of my worktable, but large bins — labeled and stowed beneath the potting bench — would certainly be more efficient. And for that growing collection of wooden, metal, or bamboo plant stakes, Sydney Eddison recommends storing them upright by height in a collection of clay chimney or drainage pipes. 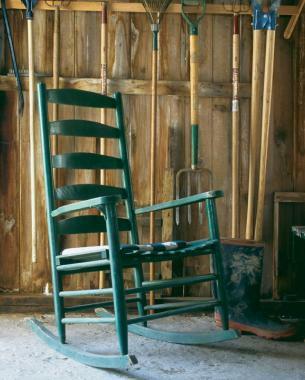 Potting sheds vary from one gardener to another, but there are a few basic tools that they all have in common. 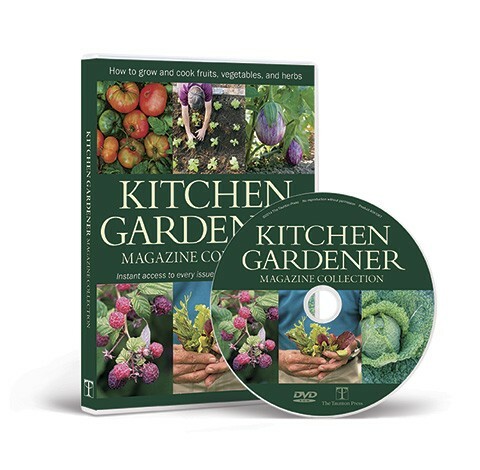 Trowels are used to fill flats with soil; pruners are ideal for taking cuttings; and a pocket knife or scissors can easily open bags and seed packets. I like having a hammer on hand for minor maintenance, and a jumble of pencils, pens, and plant labels always fill out that bench-top bucket of hand tools. For pricking out tiny seedlings, you may need to use a little ingenuity. Some gardeners prefer small spoons, cocktail forks, pencils, or Popsicle sticks for the job, but Nancy Goodwin recommends an old set of dental tools for separating the roots of small seedlings. She also suggests wearing magnifying glasses — the kind sold at drugstores — during such delicate operations. Narrow-nosed cans are best for watering seedlings. Here, Nancy Goodwin gets young transplants off to a good start. Plastic bins abound in the potting shed. They can be used as a catchall for storing hose attachments, gardening gloves, balls of twine, and other small articles. Celia Jones stores bulbs in her bins, and finds that plastic crates are ideal because they allow air to circulate around the bulbs, preventing mold and rot. 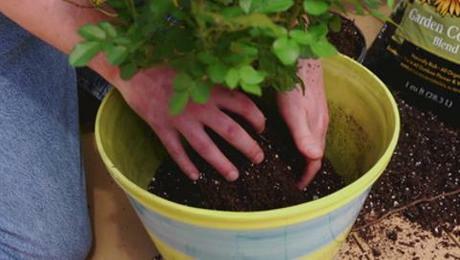 Plastic bins can also be used for transplanting and repotting. 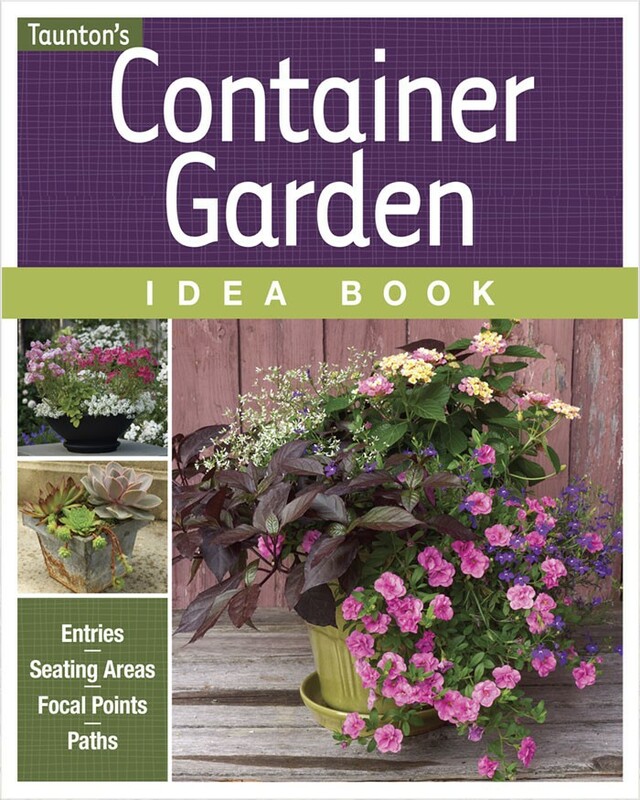 For this you need two solid bins: one to catch soil as you remove a plant from its original container, and a second filled with fresh soil for the new pot. Having water close by is essential. 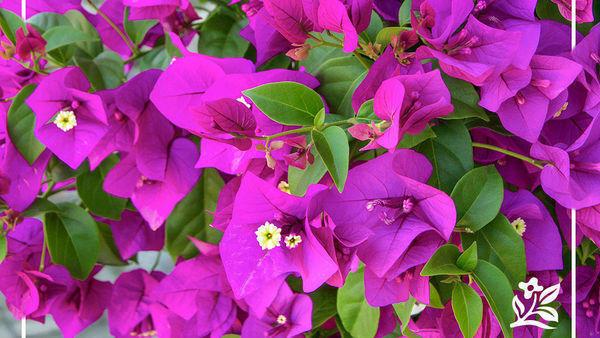 You'll need to premoisten your potting soil, wash your hands, and water plants, seedlings, and cuttings. Plumbing is usually worth the investment, but if a sink isn't in the cards for you, a collection of watering cans will do just fine. 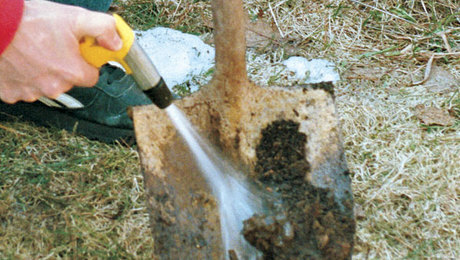 A narrow-spout can is preferred for watering around tender transplants, but those with a rose, or sprinkling head, work equally well for most other chores. Fill your cans often so you'll have water when you need it. I've decided that pots must breed in the potting shed. I don't know where they all come from, but my collection is always growing. And yes, there is a use for all those plastic pots from the nursery. 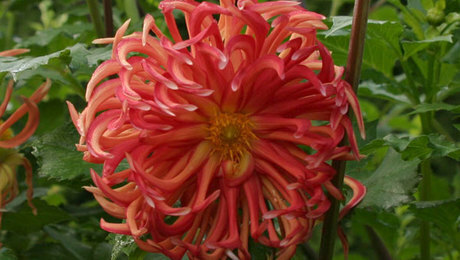 Just soak them in a solution of one part bleach to nine parts water and use them for potting up plants. There's no need to scrub — the bleach sterilizes any dirt clinging to the pots. A few hooks on the back of a door will hold jackets and sweaters that accompany you to the garden but are removed as the day grows warm. 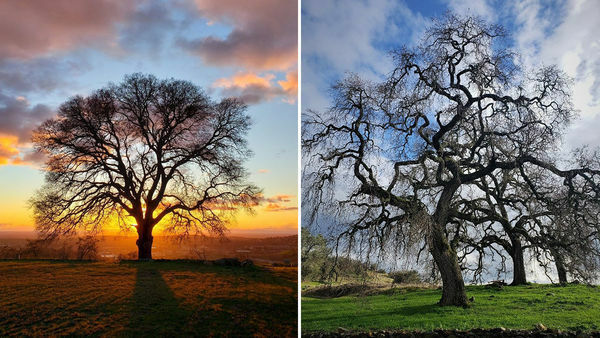 A favorite hat, poncho, and apron hung here will offer protection from sun, rain, and soil. Cleaning schedules are entirely up to you. In fact, you might consider a little dirt desirable in the potting shed. Even so, a broom, dustpan, and trash bucket deserve, at the very least, a spot in a dark corner. 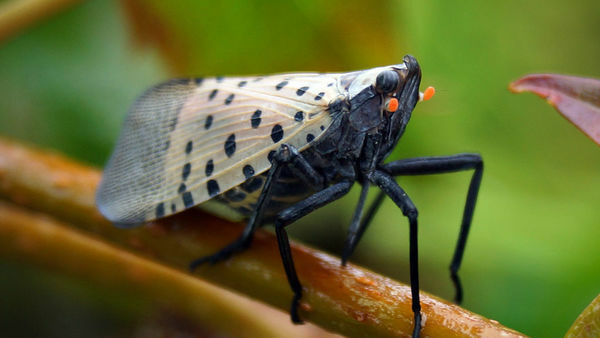 A well-equipped potting shed should also have an ample supply of rags, a bottle of hand lotion, and a can of lubricating oil for pruners, squeaking doors, and stubborn water shut-off valves. 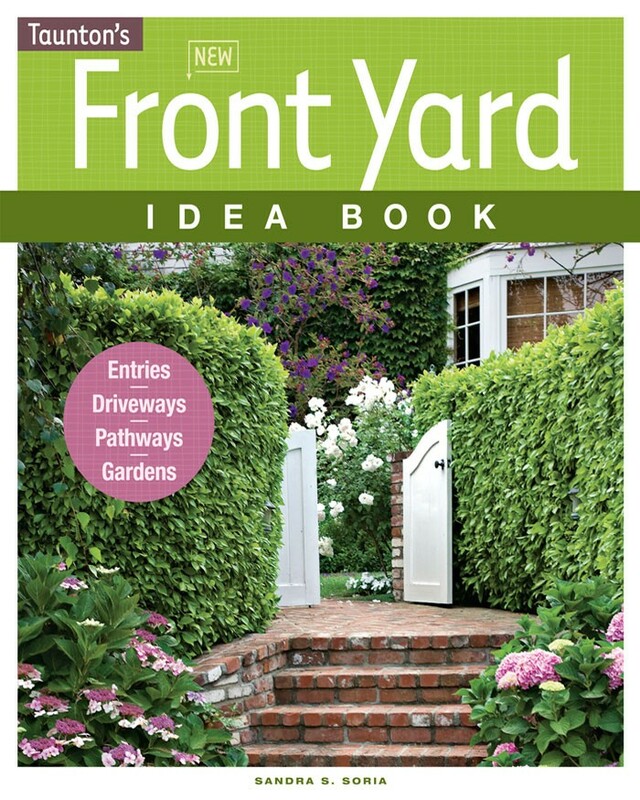 Also, don't forget your garden journal — a spiral notebook or calendar will do — and a few of your favorite gardening books for inspiration and answers to puzzling questions. Beyond these essential tools, a potting shed's contents are as individual as the gardeners who toil in them, varying with the whims and necessities of their keepers. 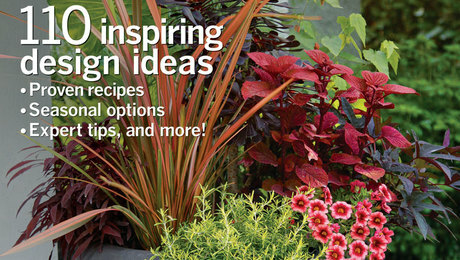 Some of these accessories betray the earthy potting shed image. Secondhand refrigerators store bulbs or seeds that need a long period of cold — not to mention drinks for thirsty gardeners. Fans help keep us cool on warm days, while a small heater extends our season into winter. And although I prefer the quiet seclusion of my shed, other gardeners just can't work without their portable phones, clocks, and radios nearby. Who knows, the laptop may even replace the garden journal for recordkeeping one day. Of course, gardening hasn't exactly gone high-tech. Flower presses and drying racks are still more common than computers, as are gathering baskets and buckets. And since gardeners still tire after long days of digging or deadheading, a bench or chair is always a welcome sight. I've found my shed to be the perfect spot for a favorite old, dog-eared rocker. Clothespins make great markers. Celia Jones uses them to label baskets of bulbs. 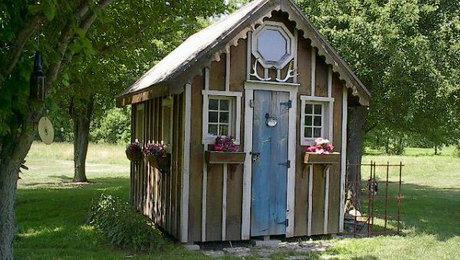 Potting sheds sometimes look like playhouses, so it's not surprising that we spend so much time in them. With the optimism of a child, we sow seeds of our favorite flowers. With the skill of a surgeon, we take stem cuttings and secure them in a sterile potting medium where they'll sprout new roots. And with the precision of an assembly-line worker, we tediously transplant hundreds of tiny seedlings. 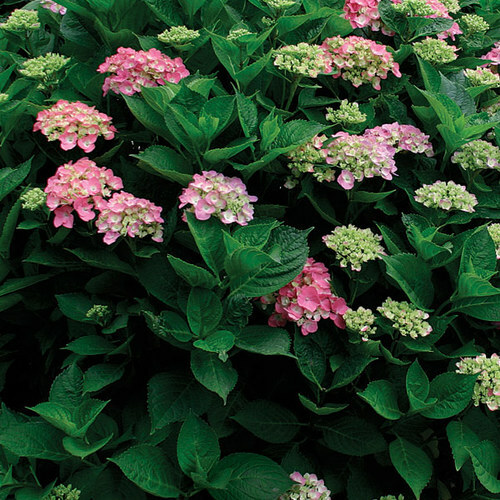 We turn our potting sheds into plant infirmaries, where sick plants are nursed back to health. 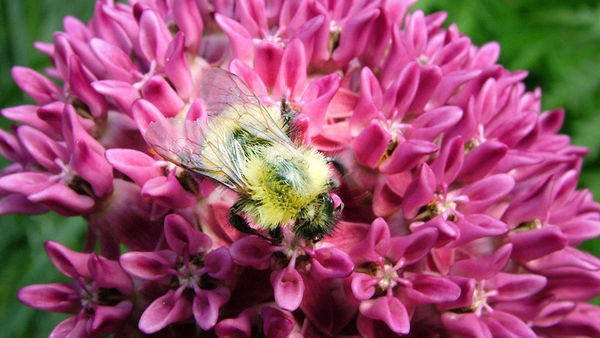 Or research facilities, where, as aspiring botanists, we make discoveries and note our findings in journals. 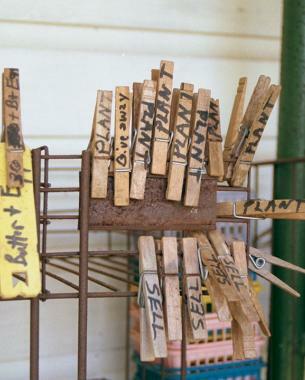 Potting sheds are studios, where even those of us who seemingly lack creative talent can devise new uses for clothespins, or design perfectly sized seedling markers from toothpicks and transparent tape. Of course, sometimes I relish just sitting there — relaxing in my rocker, listening to the patter of rain on the roof, patiently watching my garden grow.